With new sophisticated phone apps and online food ordering options for the customer seemingly endless and convenient, for takeaway and restaurant owners it’s imperative that they deliver their customer’s food on time. But things don’t always go to plan. One of the biggest headaches in the food delivery service industry is ensuring there are enough drivers on the ready to meet customer’s expectations. 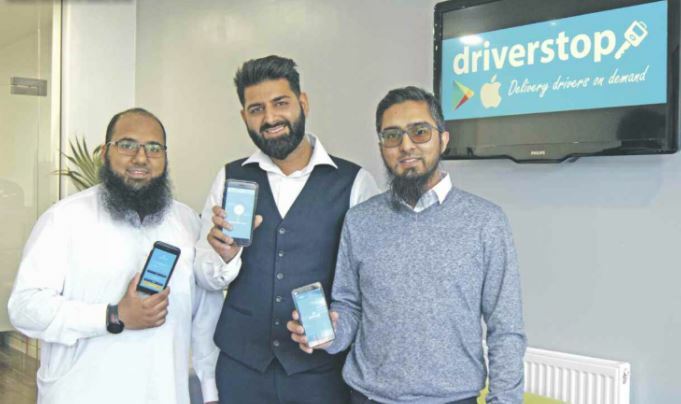 Now a trio of innovative Asian businessmen from Leeds, have teamed up to provide the perfect solution that takeaway and restaurant owners may face when their delivery driver can’t make it in for their shift. Brother Ayaz and Faraz Saddiq and friend Kameran Khan recognised the niche in the market and have developed the perfect solution, which is sure to be a win-win for takeaway owner, customer and delivery driver. Ayaz Saddiq, who’s worked in the food industry for a number of years, experienced this first hand when he took on evening jobs as a takeaway delivery driver. “I witnessed the stress takeaway owners were enduring if their delivery driver let them down and struggled to source a driver at very short notice,” explains Ayaz. “I realised this was quite a big issue for takeaway and restaurant owners and was discussing it extensively with my brother Faraz. Ayaz and Faraz decided they could offer a food delivery service agency and so went door-to-door promoting their services. Very soon they couldn’t cope with the sheer volume of “last-minute” delivery requests. Whilst discussing the scenario with their close friend Kameran, the team have developed a delivery-driver booking app ‘DriverStop’, which is set to revolutionise the way eateries manage their deliveries. DriverStop is a new app that brings together takeaway/restaurant owners and delivery drivers at a very short notice. A takeaway owner can submit their driver request through the app for the number of hours work required, a message is sent to all the pre-registered drivers and the first to accept will get the job. “The idea is simple but it’s a service that is long over due,” says Kameran. “This app is set to revolutionise the fast food delivery industry. There is more to DriverStop says Faraz: “Delivery drivers are the backbone of the takeaway industry. “They work tirelessly to bring us our food fresh and tasty, yet their hard work has gone unnoticed far too long, the DriverStop gives flexibility to delivery drivers so they can work when they want and achieve a good work-life balance. As well as paying great rates according to the driver’s delivery experience, it offers advice on customer service, best routes for optimum delivery times and tips on ensuring customer confidence.